A bad headache can stop you in your tracks. It ruins your day. It makes your life miserable. 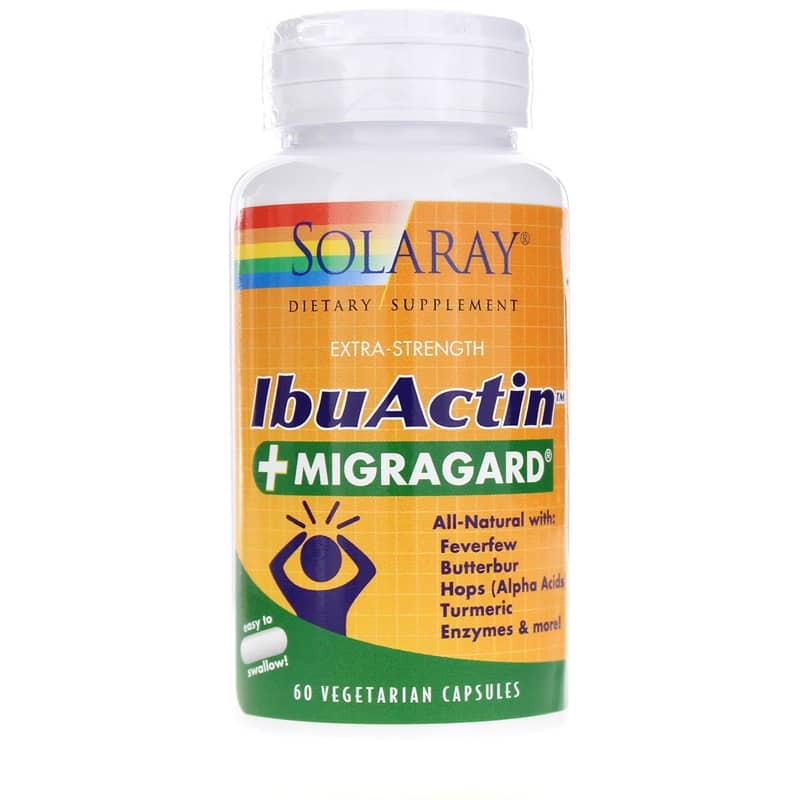 Ibuactin + Migragard from Solaray is a natural supplement with a blend designed to help support headache pain relief. The main ingredient in this product is feverfew. As the name suggests, feverfew has traditionally been used to help relieve fevers and help alleviate pain. The Harvard Medical School and the British Medical Journal have both published works about the success of feverfew in helping with migraine headaches. Experts say it may help relieve the constricting of blood vessels in your head that can cause discomfort. 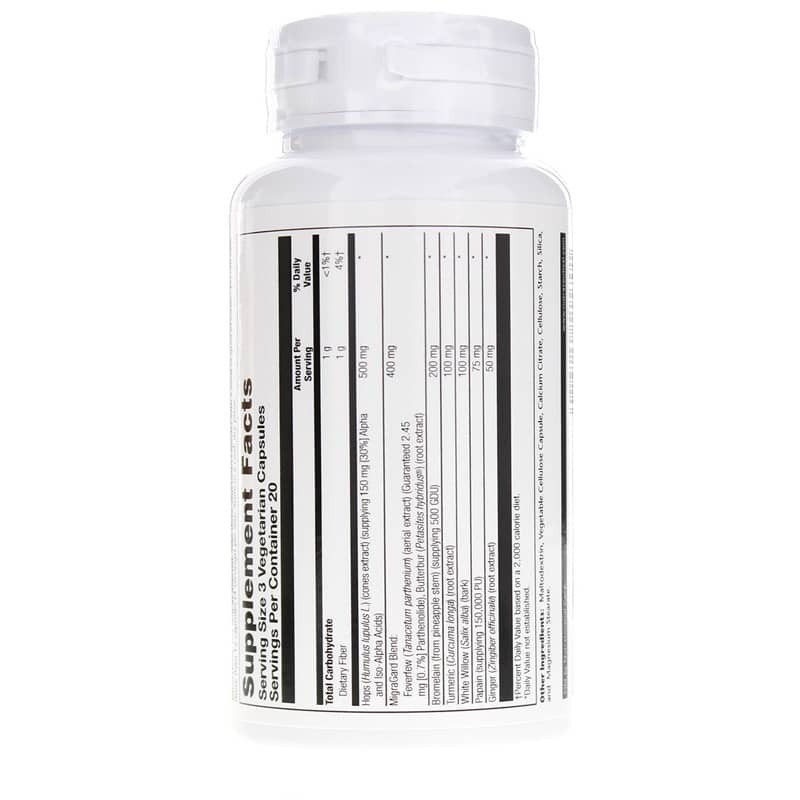 Other Ingredients: maltodextrin, vegetable cellulose capsule, calcium citrate, cellulose, starch, silica and magnesium stearate. Adults: Use only as directed. 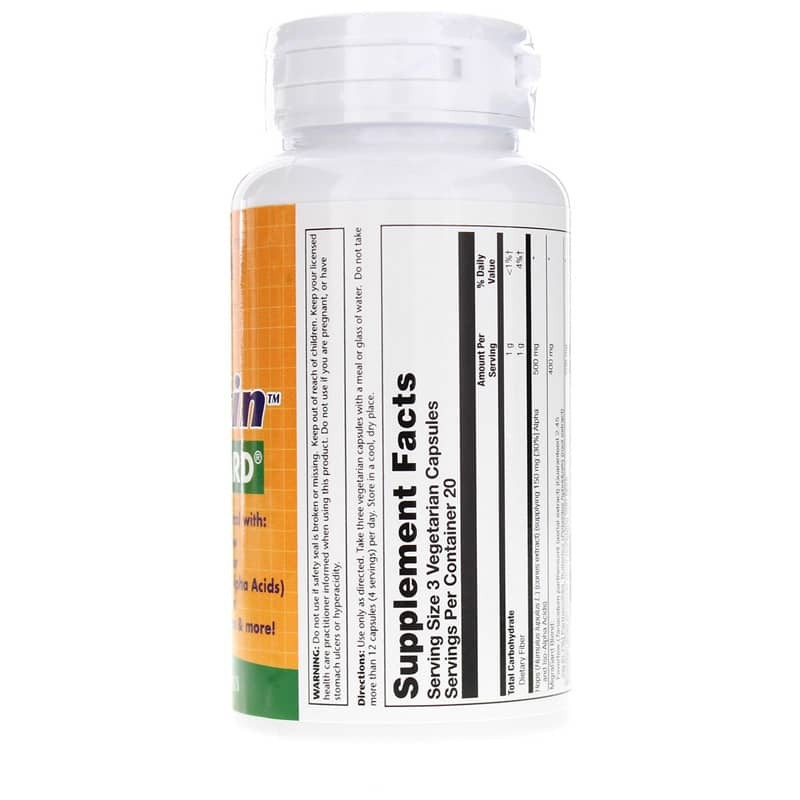 Take 3 vegetarian capsules daily with a meal or glass of water. Do not take more than 12 capsules (4 servings) per day. Store in a cool, dry place. Keep out of the reach of children. Keep your licensed healthcare practitioner informed when using this product. Do NOT use if you are pregnant, or have stomach ulcers or hyperacidity.